After watching the housing market plummet and the U.S. dollar go down in value, one wonders what (or if) they should invest in anything. Well, one thought is the art market. Hmm. Yes, what a concept. Here is something that, provided you don’t just stick it in your shed somewhere, will actually go up in value. That is a fact. “Good” artwork will always go up in value. Now, I am not talking about “decorative” art that has no function or meaning to it other than serving as a home improvement object. I am talking about investment pieces. And certainly NOT prints. For some reason, people think mass-produced ink-jet printouts of work are worth something, when they are not original works of art. You cannot retire on those. However, you can retire on art. In fact, many people invest in a piece for a mere 1 or 2 thousand dollars, (yes, that is relatively inexpensive for something you can live off of!!) and get 10 times as much at auction. If you are smart, and do your research, you can not only enjoy a piece of art in your home but you can put little Jimmy through college with that piece if you so choose. Here’s an investment that you can actually enjoy, you can see it, and it’s not locked away in some bank. And it won’t lose value. Real estate can’t do that. My New Realm series will be on display at the Zigler Museum in Jennings, LA from March 15th through May 10th. 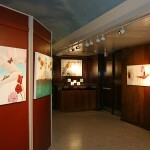 An artist’s reception will be held on March 29th from 6-8pm. Currently my auction piece for the Heymann Historic Ceiling Tile Project & Exhibit is on display at Gallery 912 in the Oil Center in Lafayette, LA. This is a traveling exhibition which will be at the Big Easel event in River Ranch this coming April. More details to follow. 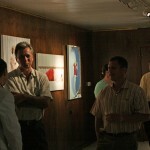 You can view photos from the Heymann Historic Ceiling Tile Exhibit opening reception and my recent solo show at the AcA at http://www.amyguidry.com/events.html. Thanks to everyone who attended! 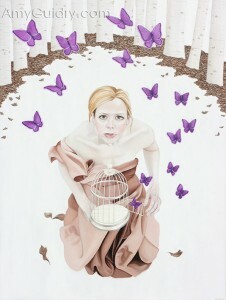 My New Realm series will be featured at the Jennifer Marie Gallery in Las Vegas, NV. The solo exhibition will be on display this August. Studio Visit Magazine’s feature on my work will be out this month. It will be available at major bookstores such as Barnes & Noble. Be sure to check it out. 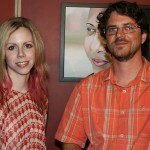 The Times of Acadiana did a great interview about my New Realm series. The issue is no longer available, but you can read the article at http://www.amyguidry.com/press03.html. You can now order Art Buzz The 2008 Collection direct from MidAmercia Publishing Company. Go to http://www.artbuzz.org/book.html to order. I was selected as their First Place winner in acrylic painting. I was recently been selected for inclusion in Marquis Who’s Who of American Women. My biographical information has also been updated in Marquis Whos’ Who in the World for the upcoming 26th edition. Be on the lookout for my interview with Randall Mann on Cox 4 Acadiana. It should air sometime next week and will be on intermittently between later segments. 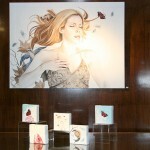 The interview took place at the AcA and features my New Realm series. I have a three-person exhibition coming up at the Zigler Museum in Jennings, LA this month. The show opens March 15th, 2008 and there will be an artists’ reception on March 29th from 6-8 pm. The work I have on display is from my New Realm series. For anyone who missed my show at the Acadiana Center for the Arts, this is their chance to finally see my new work in person. Photos just don’t do the work justice and people comment on how different it is to see the work up close. So please don’t miss out on this opportunity! This is my first official blog, so I guess an introduction is in order. My name is Amy Guidry. I’m a professional artist in Lafayette, Louisiana. 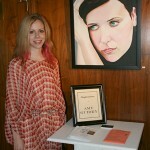 To spare you from all the biographical details of my life, you can simply go to my website www.AmyGuidry.com to read all about my work and accomplishments. I wanted to write a blog because there’s a lot about my work and the inner workings of the art world that I would like to discuss, but don’t exactly have the opportunity to do so on my website. I hope that this will lead to viewers’ interest and participation. So to start, one topic that comes up often concerns my recent series, “New Realm.” People often ask me what the series is about, which I assume is because they bypassed my artist statement hanging on the gallery wall, but for those who are still wondering… The series is my take on fairy tales, but with a modern twist. Instead of portraying the woman in the series as a damsel in distress, she is the heroine. Taking on her challenges and proving herself to be independent and courageous. I wanted to approach this work from a, dare I say the f-word…feminist…standpoint. And by feminist, I don’t mean that I am some sort of man-hating, bra-burning femi-nazi, I mean that for once, I would like to see a story portray a woman as the hero. Let me clarify that by adding it should be believable, too. Yes, I am aware that women can be the hero in many stories, but often they are seen wearing little more than a bikini and a machine gun. My hero is fully-clothed, thank you, and in control (no weapons necessary). Her mental and emotional strengths are the only weapons needed. “My” fairy tale takes place throughout the body of work. While there is a beginning and ending of sorts, the rest of the story can be viewed in no particular order or on an individual basis. The premise of the story can be found in each painting since the overall theme carries throughout. I should wrap this up before my blog becomes a novel. I welcome anyone’s thoughts on this or other art topics of interest. You can respond to this blog or if you’d rather not let the world read your message, you can email me at mail [at] amyguidry [dot] com.